Llyn Padarn is a glacially formed lake in Snowdonia, Gwynedd, north Wales, and is an example of a moraine dammed lake. The lake is approximately 2 miles (3.2 km) long (about 240 acres) and at its deepest point is 94 feet (29 m) deep, and is one of the largest natural lakes in Wales. At its south-eastern end it is linked to the neighbouring Llyn Peris (which forms the lower reservoir of the Dinorwig power station). The busy village of Llanberis lies on the southern banks of the lake. 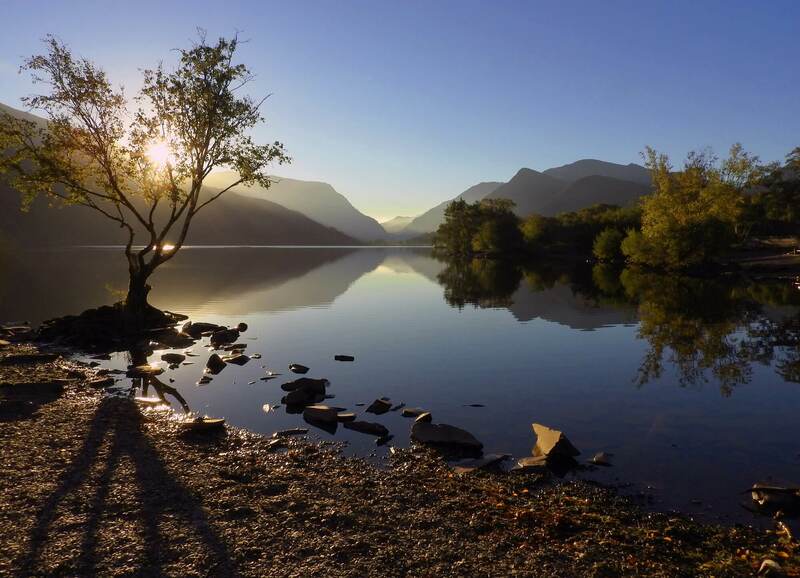 The majority of Llyn Padarn is owned by Gwynedd Council and is part of Padarn Country Park. Whilst kayaking, rowing and sailing are permitted on the lake, power boats are NOT permitted without consent from the owners. The Bangor University Rowing Club row at Llyn Padarn. In April 2014 Llyn Padarn was designated as Bathing Water under the Bathing Water Directive (2006/7/EC). 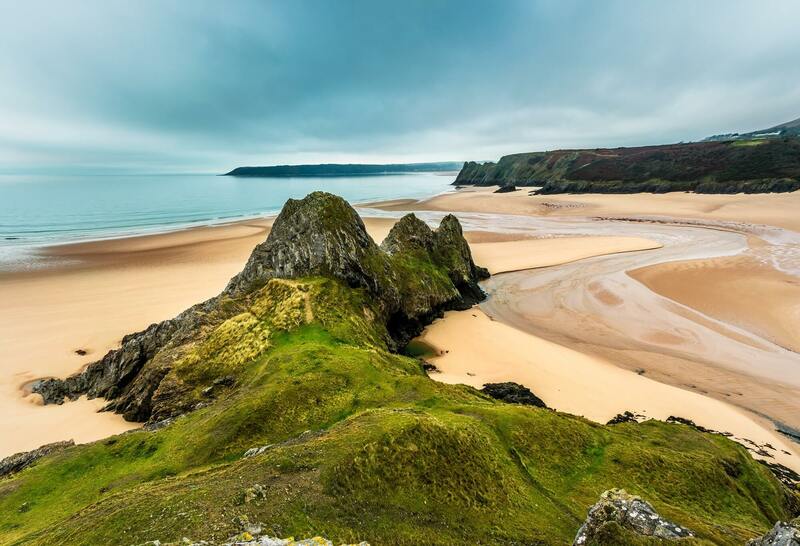 Three Cliffs Bay (grid reference SS535876), otherwise Three Cliff Bay, is a bay on the south coast of the Gower Peninsula in the City and County of Swansea, Wales. The bay takes its name from the three sea cliffs that jut out into the bay. Pennard Pill, a large stream, flows into the sea in the middle of the bay. The beach is an important asset for locals and visitors and routinely qualifies for Blue Flag status. Dogs are allowed on the beach all year. Inland about 500 yards from the main beach on high ground above Pennard Pill is Pennard Castle. It was built in the early 12th century, and is imbued with legends of fairies. It is also the only locality in Britain for yellow whitlow grass (Draba aizoides).